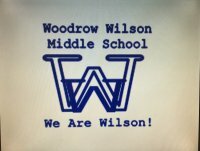 Woodrow Wilson Middle School is an urban middle school serving students in grades 6-8. WWMS is part of Erie's Public Schools and is the only school in the district to offer a middle school STEM class. The STEM lab class is a semester related arts class available to all students in grades 6-8.